“Serial killers are portrayed as cold, calculating and often obsessive but it was unknown exactly what caused them to commit such heinous crimes. Now research from Glasgow has found that these similar traits among different murderers may be linked to specific psychological disorders and childhood trauma. Researchers from Glasgow have conducted the first ever analysis of journals, news reports and legal files involved in the cases of killers, including Anders Breivik and Dr Harold Shipman. This article has both angered and upset many individuals and organizations within the autism community and Autism Daily Newscast reached out for comments and opinions. “The authors of this report state that their research is ‘clearly limited’ by the ‘anecdotal and ‘speculative nature’ of some of the published accounts that were used. And yet the headlines that it has generated may still encourage people to make sweeping and inaccurate judgements about the 1 in 100 people in the UK with autism”. “This is a very serious issue and research like this is vital if we are to develop preventive strategies. “But we would urge people not to jump to conclusions about people with autism and to make judgements about a whole section of society. “This and previous research shows that the vast majority of individuals with autism are law abiding and respect the rules of society. Indeed, in many cases, individuals with autism are unusually concerned to keep the letter of the law, due to the nature of the disability. “I would like to make a personal plea to stop stigmatizing people with autism with articles such as these. Its hard enough as it is being a parent of a child on the spectrum where you are trying to protect them in parallel with raising awareness with family, friends and adults in their life about their difficulties and possible behaviours. Then as they grow to be an adult on the spectrum who then are trying to get through the day to day tasks like the rest of us with the least stress possible with their added difficulties. Headlines and stories such as these will always generate an outpouring of emotion from both individuals on the autistic spectrum and those who care for them. This is not the first time this kind of report has shown up. Our reporter, Dr. Rachita Narsaria wrote an opinion piece last fall criticizing poor science. We will keep you updated on any new developments. Saturday, 10th May. Mermaid Theatre, London; Anna Kennedy OBE and autism charity Anna Kennedy Online hosted Autism’s Got Talent and celebrated their 5th year Birthday. 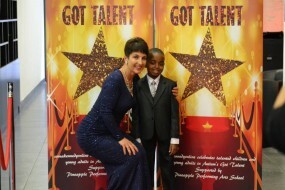 This star studded spectacular event showcased amazingly talented performances by adults and children with autism. The performers, which consisted of singers, gymnasts, actors, musicians and dance troupes, flew the flag for autism and showed what people with autism and Aspergers syndrome are capable of. Autism’s Got Talent, which is an annual event, is growing in popularity each year, and 2014 has firmly cemented its status as a leading charity and autism event. 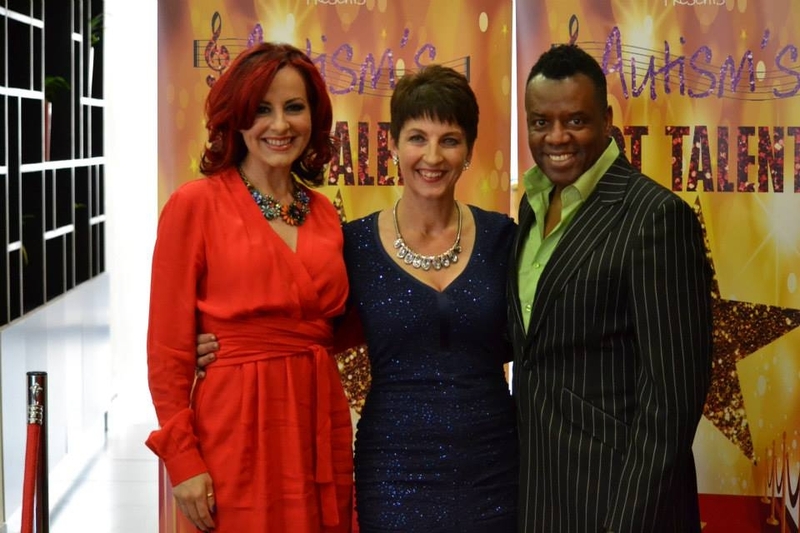 Supported by celebrities including Carrie and David Grant, Lennox Lewis, Debbie Moore OBE, Dr Pam Spurr, Dawn Lowe ,Steve Hewlett and Jason Leech ,Autism’s Got Talent shows how pivotal and prominent autism really is. Acts, which performed, travelled from all over the UK, and the world, proving how established, important and successful this event is becoming. Not only was there a buzz on the night, but the response via Twitter was fantastic. Good luck messages from around the world, including celebrities, families and organisations poured in, and celebrations were extended on Twitter for those who couldn’t make it to the event. “The essence of the event was extended to social media, with people networking, meeting new friends and sharing their experiences. It really bought people together, and everyone shared in the celebrations and congratulations. 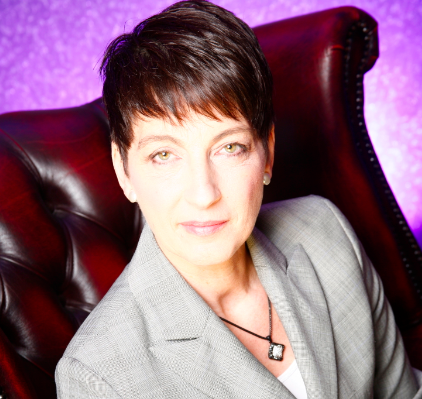 I really am looking forward to making 2015 bigger and better.” Anna Kennedy continues. Lion King was a roaring success! 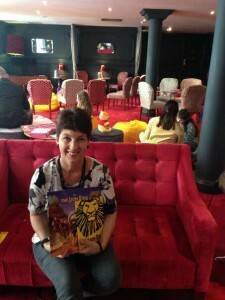 Yesterday I was invited by Disney Head Office to the Lycium to see the ‘Lion King’ which was definitely autism friendly. Disney Head Office had been working with the National Autistic Society last year and as a charity Austin and I were also asked to drop in on Disney Head Office in Hammersmith a couple of months ago to talk about the effort they put into this production to make it autism ‘friendly’…..lessening and removing sudden noises/effects as well as setting up the whole theatre to be more comfortable for families affected by autism. We were asked to help promote the event and spread the word which we were happy to do. Our children should experience wonderful shows like these across the UK. Theatres should look at the solution and not the problem Other theatres need to take note and follow suit! Jenny Martin and her lovely boys. I met a lovely family sitting in the row in front Jenny Austin from Essex with her two sons Aged 6 and 4 on the spectrum. They all loved the show and it was the first time Jenny drove to London. Well Done Jenny! To be honest I was a bit overwhelmed at mums coming up to me as I was coming in the theatre and leaving and saying ‘Are you Anna Kennedy? we follow you keep up with the good work.’ One mum almost fell over chasing me as I was leaving grabbed my sleeve and gave me a hug….. I received a message from the Lion King character Scar actor George Asprey on Twitter. Lessons from experience: Positive responses to the challenges of autism draws together further guidance on positively addressing behavioural challenges and accessing the right resources, particularly for children and young people with autism. Our speakers will draw on in-depth knowledge and many years’ experience, to deliver practical presentations and interactive workshops. The aim is to provide parents and carers with approaches directly relevant to their needs and those of their children; and some signposts to further positive and pragmatic guidance and support. The day will be chaired by Professor Barry Carpenter, an Honorary Professor at universities in the UK, Ireland, Germany and Australia. He has been a Fellow of the University of Oxford. In a career spanning more than 30 years, Barry has held the leadership positions of Academic Director, Chief Executive, Principal, Headteacher, Inspector of Schools and Director of the Centre for Special Education at Westminster College, Oxford. In 2009, he was appointed by the Secretary of State for Education as Director of the Children with Complex Learning Difficulties and Disabilities Research Project. Since completing that research, Barry has overseen the development of a national project developing online ‘Training materials for teachers of children with severe, profound and complex learning disabilities’. John Clements – a Clinical Psychologist, celebrated author and inspirational speaker. John’s talk will draw from “Letters to the Home Front”, his recent book, free copies of which will be available on the day. He will be happy to answer a full range of questions on this and autistic services in general. Angela Stanton-Greenwood – a Therapeutic Crisis Intervention consultant to Cornell University in New York, USA. Angela is the co-author of the TCI syllabus for individuals with a developmental disability and speaks at conferences in the UK, Ireland and USA. TCI is a behaviour support system that focuses on making connections with the individuals we support and helping them to learn the skills that enable them to cope with life events, and improve their quality of life. 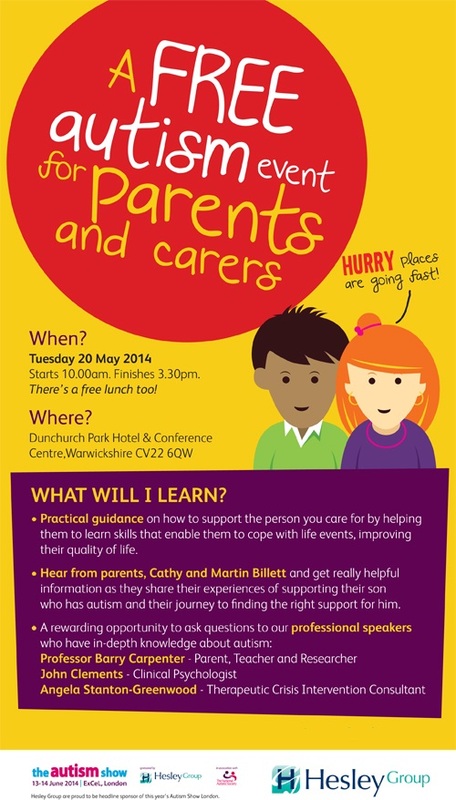 Cathy and Martin Billett – they’ll be sharing with you their experiences as parents of a person with autism and their family’s journey to finding the right support for him. Host: Professor Barry Carpenter – Parent, Teacher and Researcher. Summary: Families are the richest source of information and knowledge about their child with disabilities. Yet often they find themselves ignored by professionals, and their opinion and insight not valued. This workshop will explore, through examples of good practice and discussion how we might talk to families about their child’s special needs, but also how we can listen to families in ways that reassure them that they have been truly heard. To do this we will look at models of family support. What and who makes up a 21st century family? Who gives the most practical or emotional support to a family? What are the approaches and strategies for a constructive and interactive partnership between families and professionals? It will also include the reported views of families of children and young people with ASD, as to how the positive outcomes of collaborative partnership can influence quality of life outcomes. Title: My child’s stress levels are rising. How do I best respond? Summary: All too often we find ourselves in a situation in which we have to respond to behaviour that challenges. This workshop will focus on practical preventative strategies that might be useful enough to help the person we love stay calm enough to learn the skills that will improve their quality of life and strategies that help a distressed individual to return to their baseline and relieve their level of stress. The strategies are based on Therapeutic Crisis Intervention principles as endorsed by Cornell University NY. This is an interactive workshop in which we also focus on the well being of the parent or carer and discuss strategies that might help them to cope with rising stress levels and maintain their ability to respond to what is happening rather than simply react. Summary: John’s workshop will be held in the style of an open forum whereby parents and carers will be able to ask questions, seek advice and openly share their experiences with others. Attending our event will give you the chance to learn some valuable skills, broaden your knowledge of autism and introduce you to a positive and therapeutic approach to behavioural challenges, whilst at the same time allowing you to meet with, and share your own experiences with, many people who may be in the same situation as yourself. You might even have fun and enjoy a few laughs! Why should I book a place?